After the death of my plaid top I wanted to bounce back into action and work on my Colette Truffle dress. Super exciting as it’ll be my Xmas party dress yaaay!! I’m using a gorgeous black and white polka dot satin I got at the Birmingham meet up. The dots are so cute and large and the satin feels great. 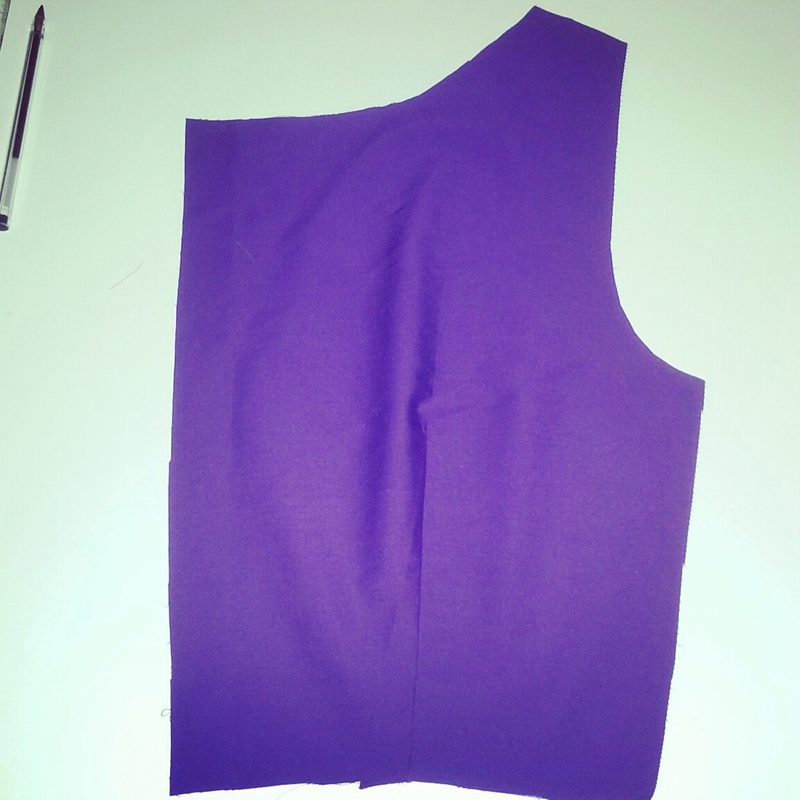 After 3 muslins I got the darts in the right place and think the sizing is “spot on” for the bodice. But all my skirt muslins were atrocious. 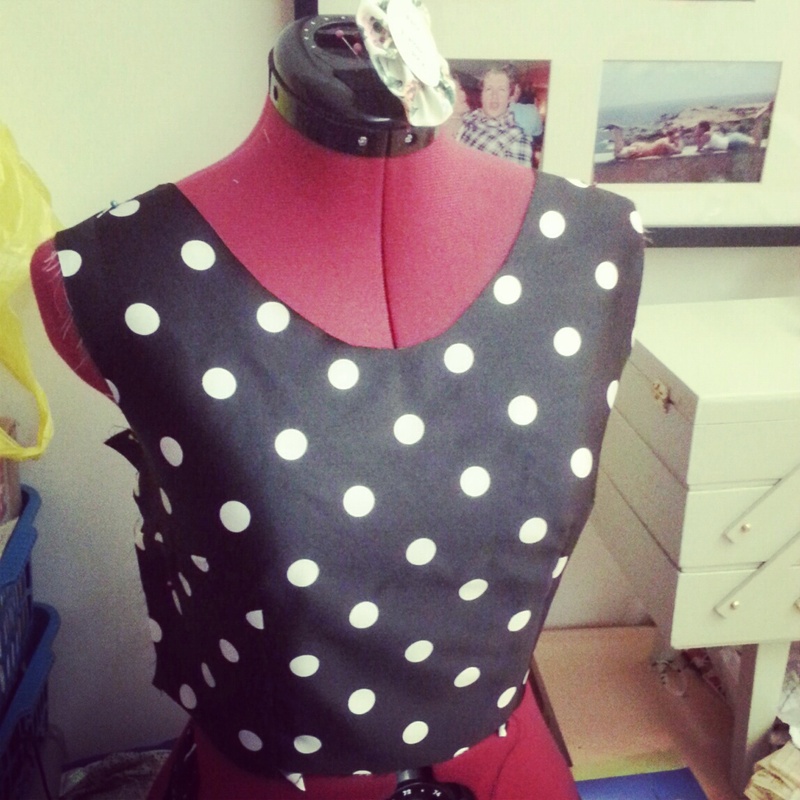 I can’t make the hip curve fit, or the darts work or match up with the bodice darts!!! (*hey we’re almost at Christmas). So I’ve been debating leaving the Truffle unconquered for now. Well at least the bottom half. If I add another style of skirt on the bottom I don’t think I can call it a Truffle can I? I’m thinking possibly a TNT gathered skirt as I have them on most my dresses. Probably from my V8723 as it’s a good length. Or something new and exciting like a half circle skirt. Though my maths skills are a little rusty. Neeno used this tutorial for some of her half circle skirts. Hmmm if I’m going to change the skirt up and lose that wonderful talking-point flounce, maybe I should add some other feature? 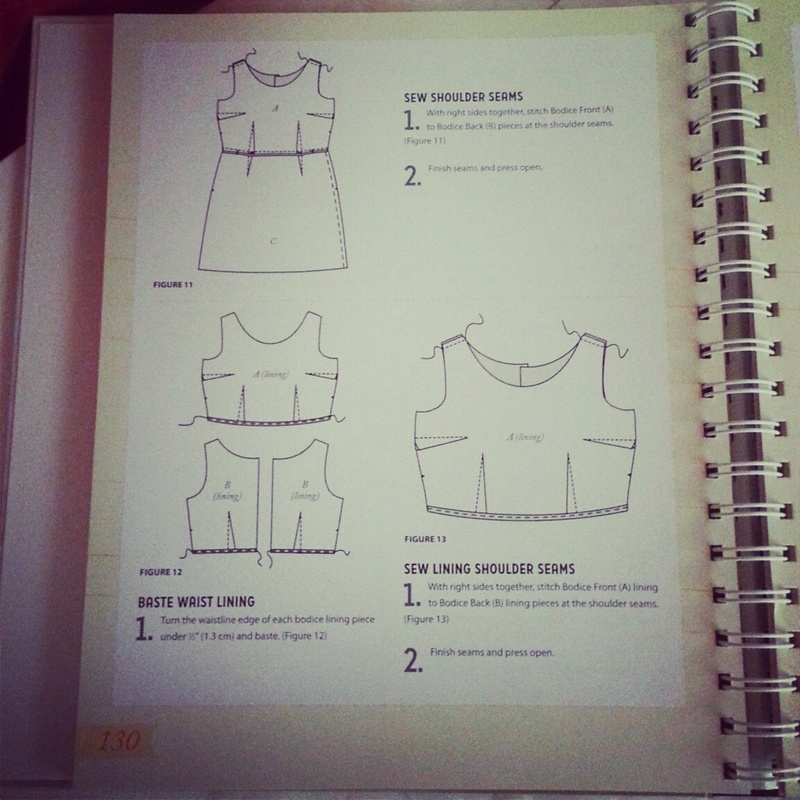 There’s even a tutorial from the Selfish Seamstress to help me on my way. Though I’d have to re-cut the back bodice and move the zip to the size. Oh my gosh this is getting complicated. Any other suggestions to jazz up the dress without crazily redesigning everything? Maybe just lowering the back into a nice v would be enough excitement. Eeeeep!! I’m so excited to get this dress together but know I need to make some decisions. I’ve got until Dec 7th to sew it up but not a lot of free time before then. Best do some long hard thinking about this!! i like the idea of lowering the neckline or you could add a collar or bow detail. maybe some embroidery with some sparkly beads? A nice full skirt could then me awesome for twirling! Good ideas. I saw you added changing the neckline on your plans for what you might do next. You used such lovely fabric! That bodice is looking delicious…hope you sort out a bottom half soon! I think whatever you decide on will look stunning, you can’t go wrong with fabric and lining like that ;o) Thanks so much for introducing me to the tutorial by the Selfish Seamstress by the way…swoon!!! The bodice looks great, and the fabric is gorgeous! I agree with the gathered skirt, it would be good and flouncey. Could you go a gathered skirt but still keep that sassy folded effect going with some ric rac or ribbon? Interesting. Time to break out the ribbon box! !